The artworks displayed in this area of the University are part of an ongoing collaboration between Bristol based artists and staff and students from the School of Earth Sciences and wider academic community at the University of Bristol. The Earth Gallery is open to th public during our Wednesday afternoons 14:00-17:00 or as part of the Wills Memorial Building Tower Tour. 24th April - The Mapping of Jan Mayen by Milo Newman, 6-7pm @WMB Book here. 24th April - Walk and tour of the exhibition with Olivia Jones, 3-4:30pm @WMB Book here. 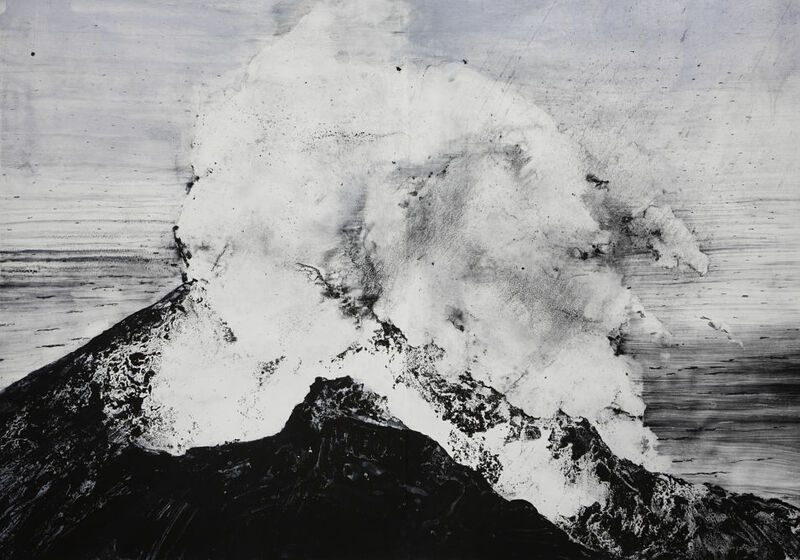 22nd May - The Mapping of Jan Mayen by Milo Newman, 6-7pm @WMB Book here. 08th June - The Mapping of Jan Mayen by Milo Newman, 11:30-12:30pm @WMB Book here. 12th June - Walk and tour of the exhibition with Olivia Jones, 3-4:30pm @WMB Book here. The 2019 Fellowship are made possible through a generous donation from Sarah Robinson in memory of her late husband, artist David Robinson.